Join us for two great shows in 2019! It’s time to believe again in the power of music! 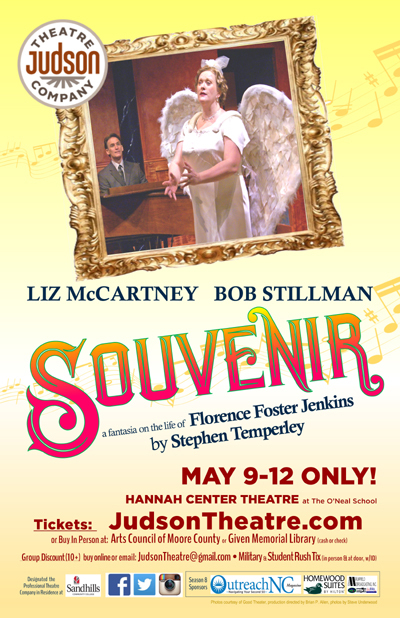 SOUVENIR is the story of opera’s unforgettable Florence Foster Jenkins, an eccentric New York socialite who believes she is an enchanting coloratura soprano. She teams up with pianist Cosmé McMoon and begins to hold recitals at the Ritz Carlton, festooned in fabulous costumes. She becomes a sensation. Unfortunately, the truth is Mrs. Jenkins can’t sing… but there’s more than one way to get to Carnegie Hall!!! Based on the true story that became the Oscar nominated Meryl Streep/Hugh Grant film Florence Foster Jenkins, this tuneful comedy beguiles the hopeful artist that lives in us all. 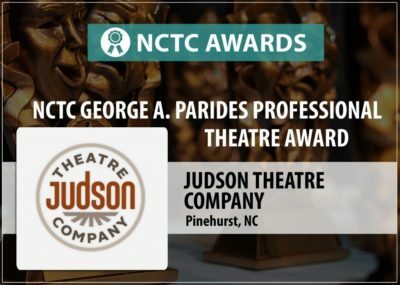 Read these rave reviews for Judson Theatre Company! The Pilot and Broadway World – SOUVENIR! Announcing Our Shows for Season 8!